“has beens” if we were so lucky. Elite XC was so biased for their marketing gem, Kimbo even won a fight when he tapped out, which our video clearly proves. So how do you feel? 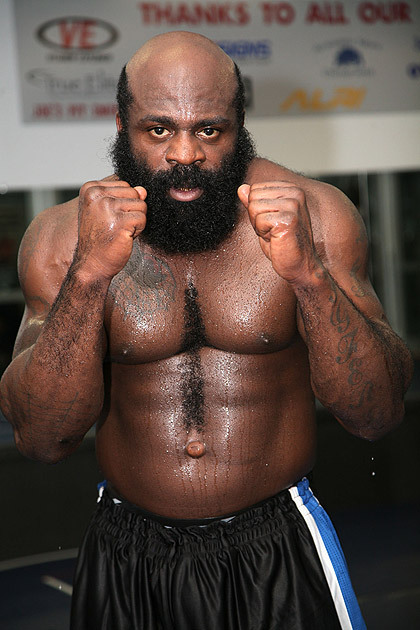 Is Kimbo’s reign of terror over and are all the EliteXC media folks going to have to find a new exciting heavyweight, or is he going to comeback stronger than ever and fight a serious opponent in a real match. Personally I want to see Kimbo Vs. Lesner or Kimbo Vs. Ortiz. I have heard rumors that Mike Tyson maybe in the mix for MMA. Please Mike do yourself a favor and just stay home.